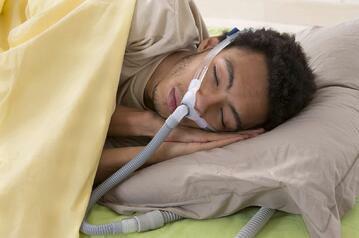 For some, the prospect of starting CPAP therapy to treat sleep apnea is welcomed. After years of poor sleep and feeling exhausted all the time, one night in the sleep center using a CPAP mask seems like a miracle! But for others, adjusting to CPAP can be a practice in patience that takes time. Though the CPAP machine itself, with its humidification chamber, is the engine behind the therapy that will help you have unrestricted breathing all night, it’s the delivery system—the tubing, mask, and headgear—which are most critical for a successful adjustment to the therapy. 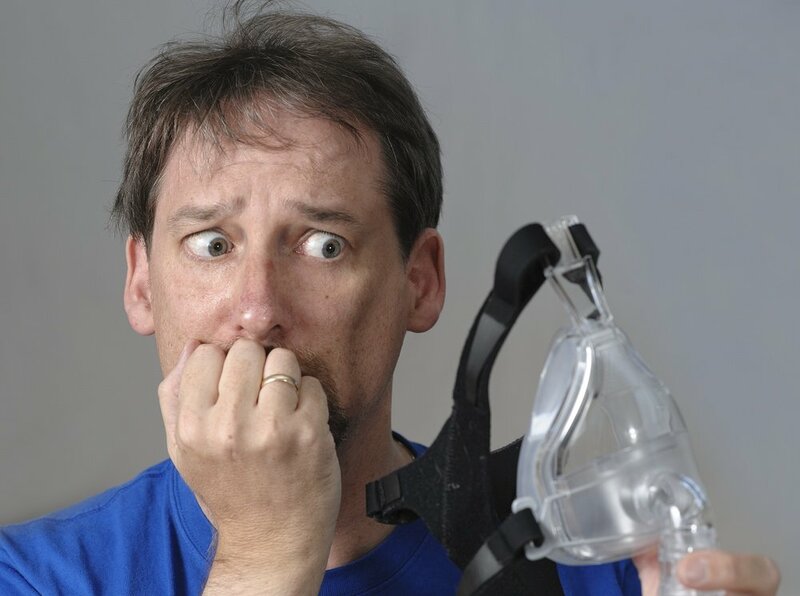 If the mask doesn’t fit well, problems with discomfort and ineffective pressure can make CPAP therapy challenging. The good news is that there are dozens of different types of CPAP masks available to meet most every need. While different types of CPAP masks offer different features that may make them more or less appealing to others, they all have several things in common. Areas on each mask that come into contact with the face are usually cushioned with medical-grade latex-free materials to improve the seal it makes with the face as well as to reduce chances of skin irritation. However, people with sensitive skin may have trouble adjusting to some CPAP mask materials, such as gel, silicone, foam, plastic, or cloth. Any mask that doesn’t fit risks leaking pressurized air, which works against the purpose of the therapy. Leaking air reduces the effectiveness of the pressure and can also result in dry or irritated eyes and excess noise during sleep for the bed partner. All of them come with headgear that helps to keep it in place. You can also add support accessories like a chin support to the nasal CPAP mask or the nasal pillows to help keep the mouth from opening as you sleep. The tubing included with the delivery system is expected to fit snugly into the mask. All masks have areas that allow for the release of exhaled carbon dioxide and some masks include ports for those patients who may also need to initiate supplemental oxygen as they sleep. Most come with replaceable parts, especially the cushions. Any mask can be overtightened by the user, which means they could wake up with marks on their face. 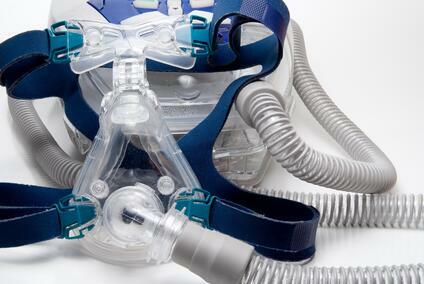 A mask-fitting with a sleep technologist is essential prior to using any type of CPAP mask. Cleaning and safe storage is required by all mask users in order to ensure they last a long time and are not damaged by pets or children. The three most common types of CPAP masks are nasal masks, nasal pillows, and full-face masks. Also known as the oronasal mask, the nasal mask is worn over the nose only. The mask itself is a rounded, triangular dome shape meant to fit comfortably to the contours of most faces. Nasal CPAP masks comes in many shapes and sizes, which makes them a popular choice because there’s one to fit just about every user. 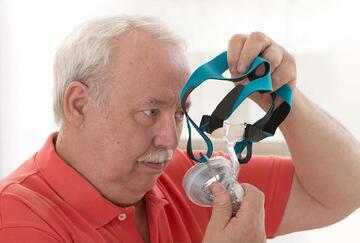 The nasal CPAP mask delivers pressurized air through the tube and into the space of the mask. Air is meant to be inhaled through the nose only. This makes nasal CPAP a good choice for people who need higher pressures who naturally breathe through the nose. The pressure is delivered less directly in this mask type and feels more like breathing regular air than with other mask types. 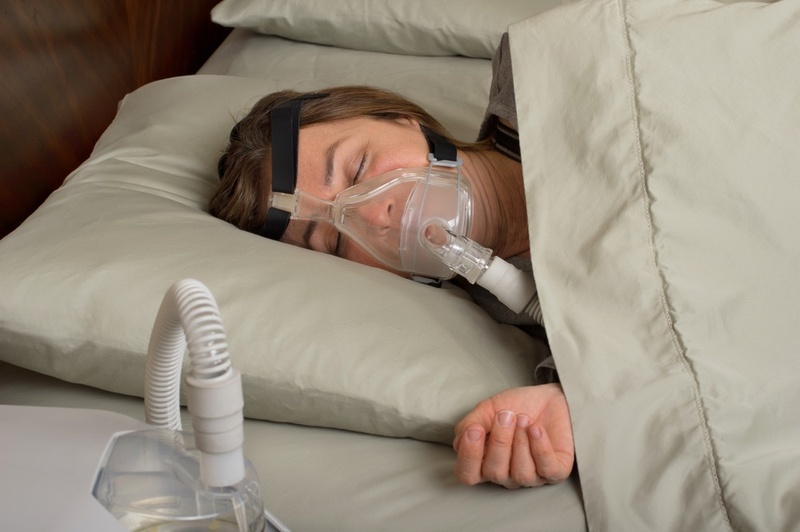 People who toss and turn or prefer side sleeping can use this type of CPAP mask with confidence. 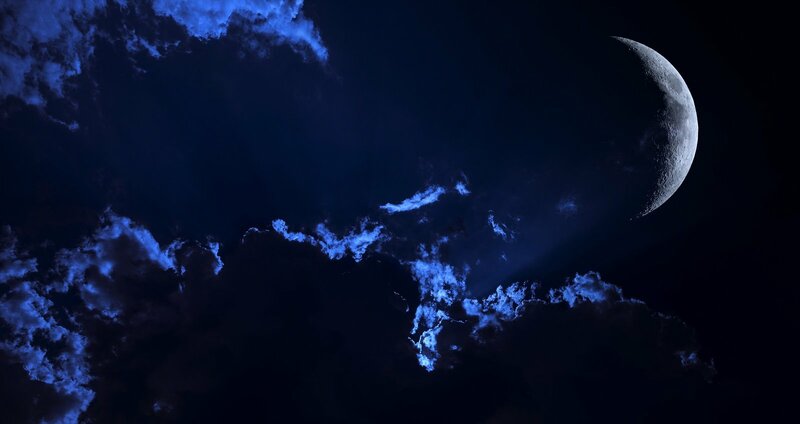 However, people with nasal or sinus problems, such as head colds or allergies, may find the nasal CPAP mask uncomfortable when these conditions are present. Also called nasal cushions, this type of CPAP mask is much smaller in size. It rests above the upper lip and is inserted at the outer edge of the nostrils, rather than over the nose. The two pillows or cushions in the mask seal to the nose to deliver pressure in a manner that’s more direct than with the nasal CPAP mask. Nasal pillows are minimal in design, with less obtrusive headgear and a smaller overall profile, which allows for more line of sight while wearing, making them perfect for people who read, wear glasses, or watch TV before going to bed. Like the nasal mask, the nasal pillows work only when the user breathes through their nose. Some people who prefer nasal pillows may add an accessory called a chin support which helps keep their jaw from dropping as they sleep to reduce their chances of oral breathing. Air is less likely to leak from nasal pillows due the direct nature of the seal. People who tend to toss and turn at night usually do well on this type of mask. However, people who require greater pressure settings for their CPAP therapy may not be comfortable using nasal pillows as their delivery system may be too direct for higher settings. Those with beards may find nasal pillows to be their best option, as there is no additional hair to interfere with the quality of the seal in this type of CPAP mask. For some, nasal pillows offer a measure of openness that leads to less feelings of claustrophobia than other types of masks. Because of the contact between the cushions and the skin, this may not be a good mask choice for people with tender nostrils or sensitive nasal passages, as nosebleeds, dryness, or pressure sores can occur. The full-face CPAP mask fits a larger space, from near the top of the bridge of the nose to underneath the lower lip, creating a seal over both the nose and the mouth. It usually includes supportive pieces that fit to the forehead and the cheeks to ensure a good seal. 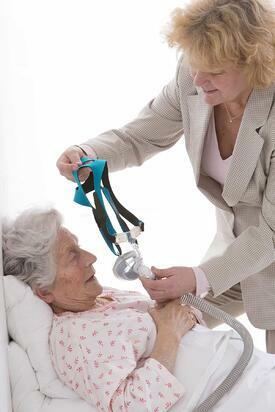 Though it is larger than the other two options, some patients find it comfortable because it allows them to breathe orally (through their mouths) without diminishing pressure delivery, which can even reduce feelings of claustrophobia. People who suffer from dry mouth generally do well with a full-face mask as the humidified air keeps all the oral and nasal passages moist. Also, those who need a greater pressure setting for their therapy generally do the best on this type of mask. Because there is more contact area in general for a full-face mask, leaks in general are more likely to occur. For those with facial hair, especially, any of the places where the mask meets with the beard, mustache or sideburns means therapy may not fare as well; it will be difficult to create a good seal, and leaks will occur. Also, this is not a good choice for someone who sleeps on their stomach. However, back sleepers can expect to do very well using this type of mask. 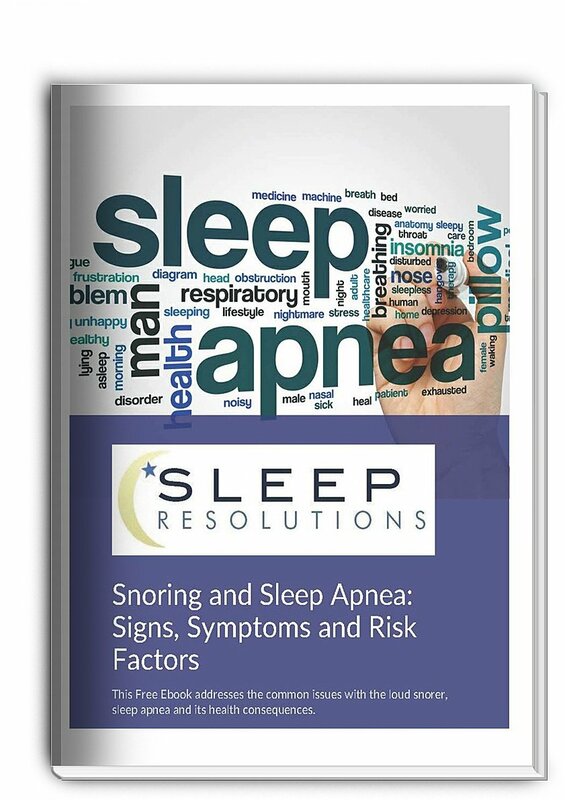 Picking the right CPAP mask matters! 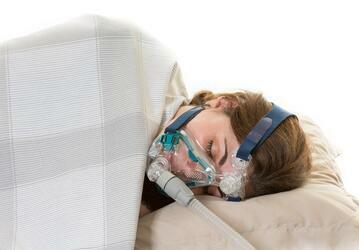 One of the biggest reasons why some people struggle with CPAP has to do with the mask they use. It could be too big or too small; it might not fit the landscape of their face in order to get a quality seal; it may be worn out and in need of replacement; and it might be constructed of materials or designed in a way that just isn’t comfortable. 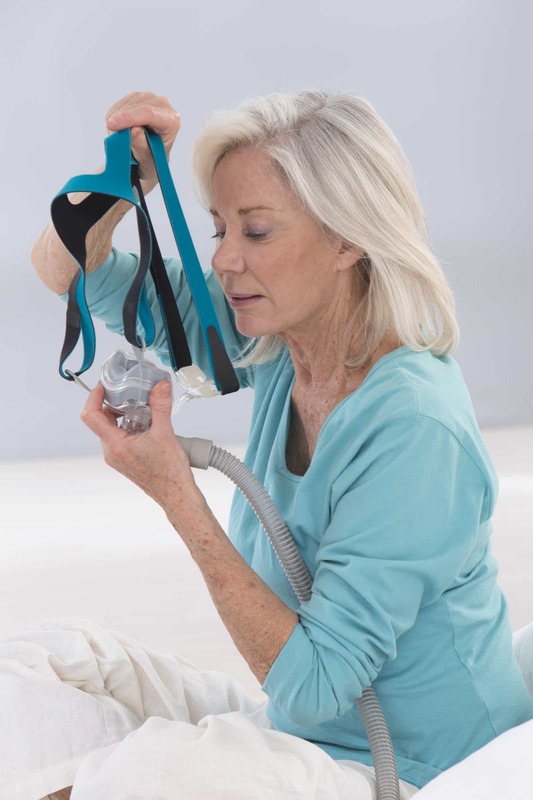 To ensure you are able to mainta in your CPAP therapy without interruption, it is critical that you trial as many types of CPAP masks as you are able to before choosing one. It's much easier to stick to your therapy if you take the proper time to pick the right mask for you. Just like finding the right pair of eyeglasses... once you find the pair that fits, you'll never want to go back! Finding the right mask means you're on your way to finding success and joining the thousands of users who now swear by their CPAP therapy. Remember, many of them struggled at first with comfort issues at first, too. There’s a mask out there to meet the special requirements of nearly every person, and your technician will be your best resource in finding the one that fits you best. When you go in to receive your CPAP equipment, do let the technician know if you tend to toss and turn, what side you prefer to sleep on, if you have sensitive skin or nasal passages, whether you wear glasses at night or otherwise need an open field of vision, how frequently you experience head colds or allergies, if you commonly breathe through your mouth, and whether you have problems with claustrophobia. Once you've picked your mask, remember that you can always change your mind later. Plus, newer mask designs are released all the time that are worth investigating, and all types of CPAP masks eventually wear out, so don't be shy about trading up!